When we look around, it’s easy to think there’s nothing good in the world. Horrific crimes against humanity are committed every day, and while some of us are fortunate enough not to witness them, we still know they’re happening. There aren’t even many good people in our governments, police forces or other institutions we’ve been led to believe are here to protect us, and they’re the ones who commit some of the most heinous crimes. The world’s condition is enough of a reason to think there’s nothing good here, but all we have to do to see the good is shift our perspective. Things change when we stop focusing solely on what’s wrong with the world and start looking at what’s right, and while we don’t want to be ignorant of the bad things happening, we don’t want to let them keep us from enjoying life either. When we have an equal understanding of the good and the bad, we’ll notice that they exist together. I don’t know how it’d be like in a higher state of consciousness, but here, the good and the bad are unified. You notice one just as much as the other, and they seem to dance together to form this thing we call life. Stephen Marley said it best in the Melody Makers song ‘Postman’, when he sang, “Every day in life has its ups and downs”. We experience the best and the worst in life, and we can choose what we focus on and how we let it affect us. When we’re upset, the most favorable circumstances might not bring us out of it. Similarly, the worst setbacks can’t bring us down when we’re positive or uplifted. It’s all about our perspective and what we allow to influence us, and life gets easier when we accept the bad while embracing the good and letting it soak into every aspect of our existence. We can become the good in the world, but only when we let love in, accept the negative emotions and circumstances we used to hide from, and allow a positive or at least neutral perspective to dominate our thoughts. We’ll see the good in some of the worst circumstances when we do, and just because we see it doesn’t mean we deny the reality of the situation. It just means we’ve united the good and bad, and instead of letting the bad consume us, we accept it and continue to embrace the good. The world can be heavenly or hellish depending on how we choose to see it, and it only becomes hellish when we make it that way. Most people have forgotten that we create our reality, and while the darkness is pretty strong here, we can actually change this if we come together and try. Darkness is an undeniable part of our world, but it’s been taken too far and this is the first thing we need to change. We can raise the light quotient while diminishing the influence of darkness, and in doing so, we’ll make it easier to access higher states of consciousness from here on earth. This would require everyone to wake up and try to make a change, which might make it seem impossible, but at least we can do it at all. Since the world doesn’t seem ready yet, those of us who are devoted to spreading the light will have to keep trying in hopes that others embrace it too. They eventually will, but it’ll take a lot of work. Stay strong if you’re struggling right now, because life can get better if we make it better. One of the best ways to do so is to be patient and grateful for the good things when something goes wrong, and since life responds to our every thought, word and action, it’ll respond to our gratitude by giving us more to appreciate. When we realize we create our reality, we can create a reality of joy, harmony and passionate hard work and continue to love life when things don’t go our way. I’ve written before that struggle and hard times seem inevitable, but they don’t have to stop us from enjoying the things that lighten our hearts. The people who let negativity consume them are the most lost, because they’ve forgotten what the light feels like. They’ve forgotten what love truly is, and their life has become cold, bitter and lived only for themselves. 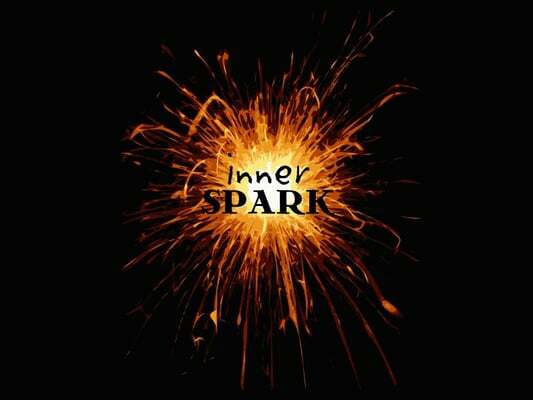 Thankfully, our inner spark never completely dies, and it can be rekindled and transformed into a massive flame of love and awareness. Life will improve when we improve our outlook, and the struggles that seemed so hard won’t bother us when we shift our minds. We’ll be too concerned with improving the world to let them get to us, and once we find our preferred work, we can focus entirely on it and the challenges it throws our way. Challenges will excite us when we’re in this new and improved frame of mind, and we’ll know that with love and spiritual awareness, we can handle the darkness.